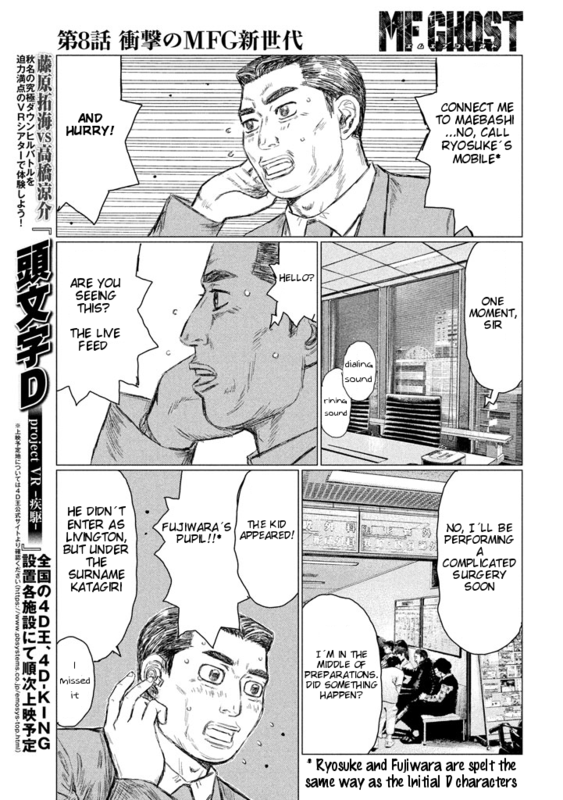 Initial D World - Discussion Board / Forums -> Is MF Ghost a Sequel to Initial D? Is MF Ghost a Sequel to Initial D?, A connection or not? 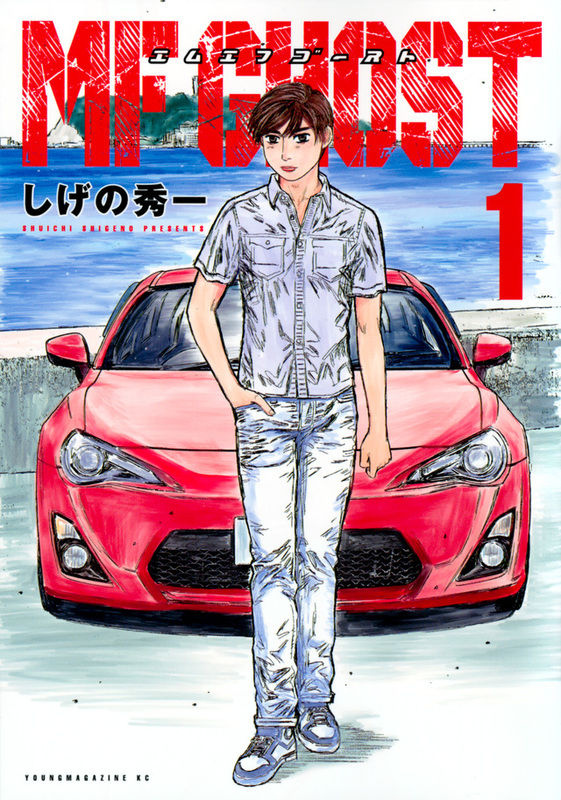 In the manga (MF Ghost), written by Shuuichi Shigeno (Same writer for Initial D), R. Takahashi is involved somehow, and the FR-S version of the AE86 is used as well... Does anyone else think there is a connection? Sequel? Or Am I thinking too deep into it? Probably takes place in the same universe but I wouldn't count on much connection between the two. R. Takahashi is probably just a wink and a nod to the old series. 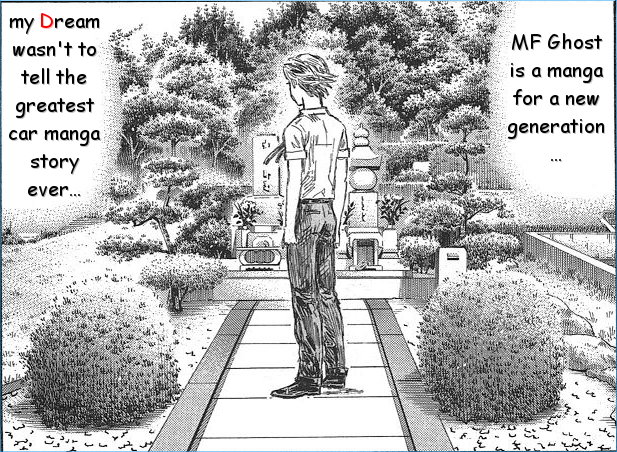 Hmm... interesting, Takumi's name is mentioned in MF Ghost. Yes. MFG is the sequel of IniD. It's confirmed with Jouyu Fumihiro calling to Ryosuke (now a surgeon), while watch Kanata's debut race and comparing the red 86's driving with the Panda Trueno. So, it's possible we'll see more links, and possible one of the old characters appearing in the series. I'm hoping it happens now rather than later so the kiddies can bust that nut and get it over with. I hate this series. 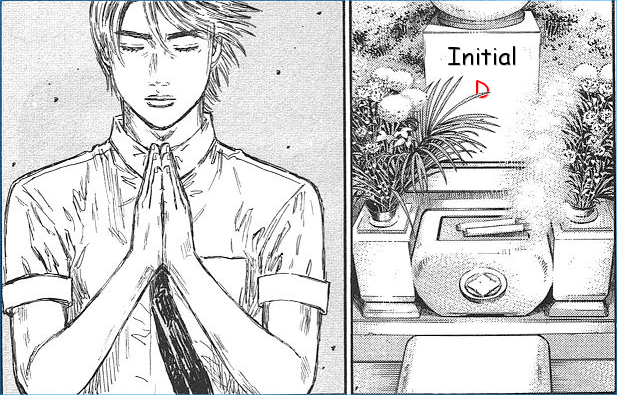 Under the characters, you can see "関連作品" which mean "Related works" with Initial D.
I would say it is not a sequel but only a spiritial sucessor. 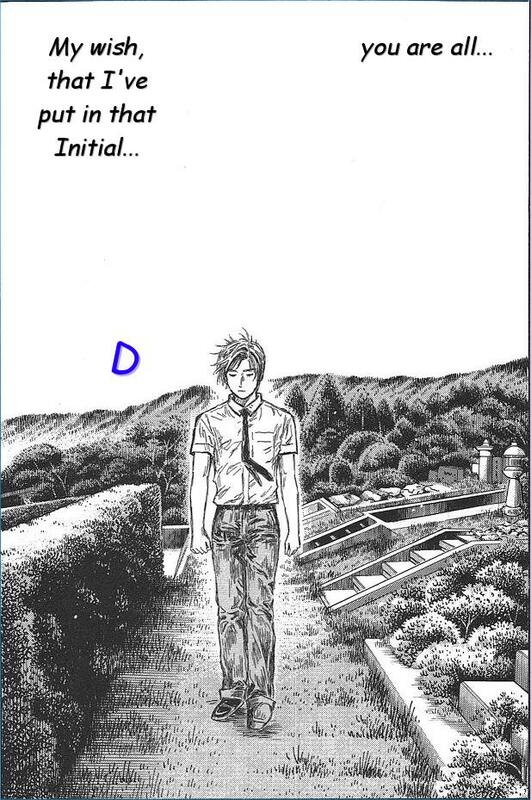 Sequel would use the same name or/and characters (how would "Initial D: MFG" sound ). 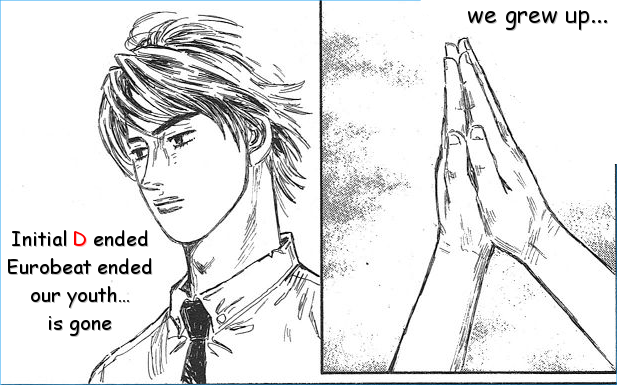 Initial D characters being vaguely mentioned is not enough to make it sequel in my opinion, just a nod as Tessou says. Now I remembered that a few years ago, Shigeno mentioned in some interview that if he returns to motoring manga, he would definitely want to do it about rally. Seems like there is some rally inspirartion in MF Ghost (usage of public roads, the time trial aspect, drivers wearing headsets, camera drones), but in the end it is not about rally at all. I guess best way to describe it would be canonical spiritual successor. It's set in the same universe with them being mentioned but is mostly unrelated to the storyline arcs of Initial D.
Takumi exists in the same universe, right? Then yeah, it's a sequel. The story doesn't necessarily have to focus on the characters/events of the past to be considered one. Why is this a thread? It was stated by Fumihiro (while talking to Ryousuke) that Kanata is Takumi's pupil... this makes more sense as a sequel, or as some sort of spin-off, if you will. Image size reduced, original size: 758 x 701. Click here to view the image in its original dimension. Image size reduced, original size: 721 x 1024. Click here to view the image in its original dimension. It just gets worse and worse. I can hear the frothing and jerking off from here. This is what killed Star Wars. I don't want to see another thing I love die because of stupid "OMG OMG OMG" callbacks that didn't need to happen. Quick, where's the 13 minute analysis of this solitary page so we can know every reverberation to be found within the inconsequential scene?! Watch .. we're gonna see Takumi Skywalker come back with a robotic hand and some weird plot device like he's blind now so that's why he went to the Drift Temple to train Kanata "86" Livington .. Probably takes place in the same universe as said earlier. It doesn't really have enough connection with Initial D to be considered as sequel. I was looking at the sales data for 1st MF Ghost book and it doesn't look as good as Initial D, but is not completely bad: 62 000 in first 2 weeks, 119 000 in 6 weeks. Last Initial D relases were doing around 180 000 for first 2 weeks, but it's worth noting that it was 5 years ago and sales are lowering in recent years. And this level of sales still puts MF Ghost on par with, say, Yowamushi Pedal, pretty popular series adapted for anime as well as live action series. Also, I think that these - popularity and sales - are the main reason why Shigeno is putting more and more Initial D references to MF Ghost. Wouldn't be surprised if some Takumi training flashback pops up, as was mentioned before by xiao. And AE86 will appear too I guess. Still, even though the plot is mediocre, I am somehow glad that Shgeno is making racing manga again, after that romantic and baseball experiments. It looks like that for book sales, but the weekly manga is doing poorly. Never makes the charts. Yowamushi Pedal typically hangs in the 10-20 rank in weekly sales. Adding in some Initial D references to this series will not boost numbers significantly. It's doing worse in tankoubon sales than late ID volumes, and the weekly manga is not selling magazines in notable numbers. To sell an artistic product, it needs to be compelling. MF GHOST is not that. The ship has sailed. I'm tired of reading opinions that it just has yet to blossom or needs a little push to make it big. It's nowhere close. It's doomed to be another obscure, mundane Shigeno series that dies young. He had one or two hits and a lot of misses. To sell an artistic product, it needs to be compelling. MF GHOST is not that. The ship has sailed. Yep ~ it's hard to strike gold twice in the manga world. I think what fans wanted was a direct sequel to Initial D ~ Initial D 2 ~ per se. He should just focus on Initial D. There is so many great characters that could have side stories! 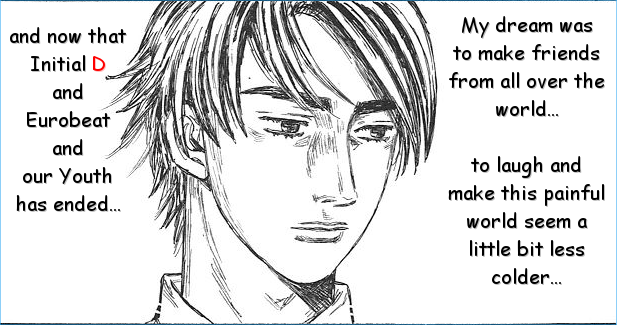 MF Ghost goes into some of the events that happened past Initial D. I think he really should have follow their lives into the racing world, as 99% of fans would have loved that. I guess the author just wanted to to do something else and now he's having to add elements from Initial D, so MF Ghost doesn't get cancelled.